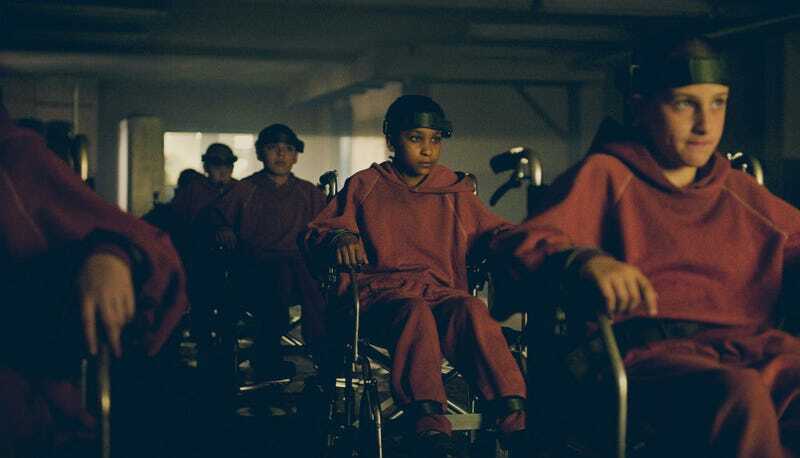 We’ve done our best to let you know how good The Girl With All The Gifts is, with a positive review, raves about the book, and other articles, but words can only do so much. The same goes for trailers, which can sell anything. Now a clip has come out that proves our point: You’ve gotta see this amazing zombie movie. This is a clip from early in the film, so there are no real spoilers. But in this clip, you get a strong sense of this unique zombie world. A world where the kids are infected and are trying to suppress their thirst. Some can, some can’t, and, well, things don’t go so well for most people. That’s later, though. For now, check this out. Get that conflict in the main character? The fact that adults have radically different feeling on the subject? Those are just a few of the issues building up this great movie. Directed by Colm McCarthy, starring Gemma Arterton, Paddy Considine and Glenn Close, The Girl With All The Gifts is now on DirectTV and comes to OnDemand and select theaters Feb 24.